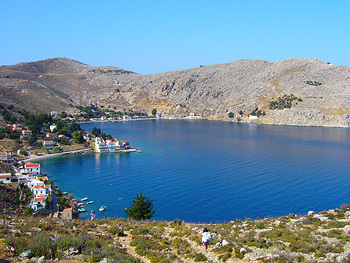 Nimborio – The Symi Estate Agent. 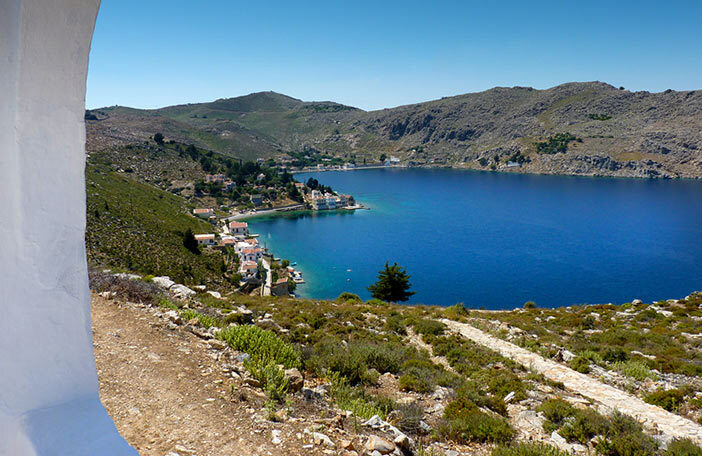 Nimborio – This is the next natural harbour around from Yialos to the North and it is connected by a road to a certain point and then you have to walk, this guarantees the most peace and quiet one could wish for. It also happens to be the Ancient Capital of Symi where King Nireus himself lived. (As mentioned by Homer in “The Odyssey”, in that he sent three ships to the Trojan war.) It’s naturally deep harbour means that you can often see dolphins jumping in the bay and it’s crystal clear waters mean snorkelling, diving and fishing are enjoyed here.